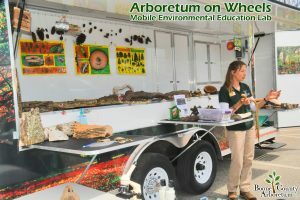 The Boone County Arboretum is an outdoor living museum, with a curated collection of over 3,600 trees and shrubs that offers a rich educational experience. Join us at the Cold spring Branch for a hands on experience as they bring their Learning Lab on Wheels to share with us what the local area offers. Register now as spots are limited!